“The only thing that’s going to stop you is the 6 inches between your ears.” Debbie shows us how to change your mindset and overcome living in the past. And also, the most uncomfortable thing Debbie’s ever done in her business. 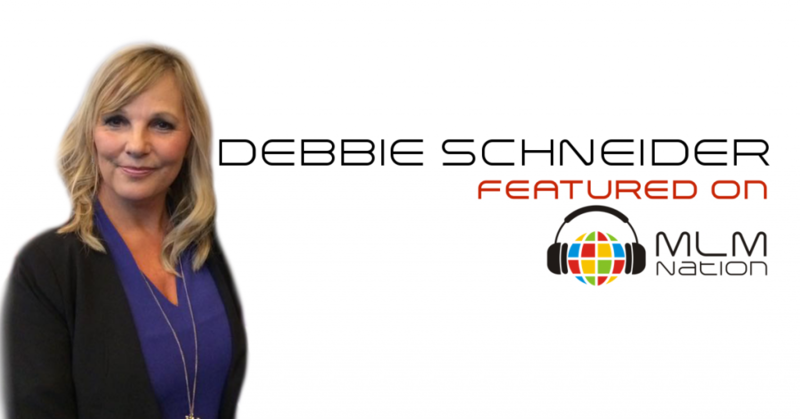 When Debbie Schneider found network marketing, she had worked in the corporate world for over 25 years and felt burnt out and insecure about her future. She then worked super hard in her MLM business and hit six figures after 2 years and then made $1 million in lifetime commissions after her 4th year. Today she is a annual 7 figure earner and have won almost every award her company has given. She has a global business and finds the most rewarding part of MLM is the journey of personal growth and creating freedom for others.